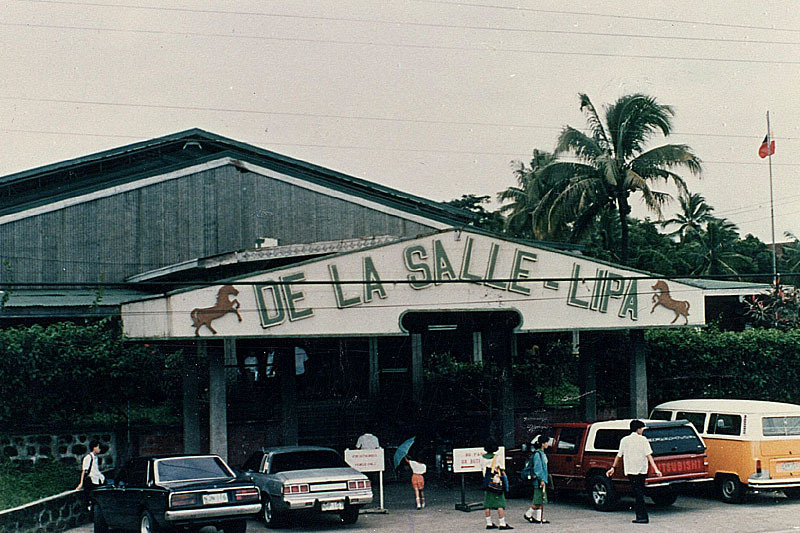 De La Salle Lipa used to be known as La Salle ng Lipa in the seventies. Yes it was, although what I do not know is if the name was in any way official. The school had been officially registered at the Department of Education in 1963 as La Salle High School after an entire school year of operations as the High School Boys' Department of the Our Lady of the Rosary Academy. I do not recall the exact year when we started writing La Salle ng Lipa to the right of our names on the sheets of pad paper that we passed to our teachers when we took quizzes. What I do recall is that we started doing so in the early seventies when I was in high school and the Principal was Br. Emiliano Hudtohan FSC. I have always been something of a self-confessed language snob; and even in high school I thought the name La Salle ng Lipa not only annoying but also that we were being unfairly branded. For instance, in December of 1974, as a high school senior I accompanied a Grade School football team to the Little Olympics hosted by the Elementary Department of De La Salle College (Now DLSU). During the farewell party the night before we were due to travel back home to Lipa, all the delegations were assigned Christmas carols to sing. All the other delegations, even the ones from Bacolod and Iligan, were assigned English carols. We were assigned “Ang Pasko ay Sumapit.” Shutangnamesh! How patronising was that? Do not anyone get me wrong. I am as much a patriot as anyone who stumbles upon this article. I will also be the first to admit that, outside the classroom, our preferred language for conversation was Tagalog. What annoyed me most about the name La Salle ng Lipa was that it created if not reinforced the mistaken notion that we were not very good at the use of the English language. On the contrary; many of us had good instruction in the language going back to elementary at the Our Lady of the Rosary Academy. Many years later, I asked the late Br. Rafael Donato when he was my boss why the name was ever given. His answer was not straightforward as was often the case with the good Brother, who had a way with words. For the benefit of younger readers, what is now known as the Philippine District of the De La Salle Christian Brothers used to be governed by the District of San Francisco until the late sixties. The Philippine District did not become independent until February 1970 (Wikipedia); and it was something that the Filipino Brothers had to fight for. Those among the readers who remember Br. Rafael will also recall that as much as he was able to, he avoided wearing the soutane or the cassock. Br.Rafael Donato, as much as he was able, preferred not to wear the soutane. Instead, he always preferred to wear the polo barong. Students of La Salle will recall that so did the other Filipino Brothers assigned to Lipa. This, according to Br. Rafael, was a statement that the Filipino Brothers were making in an attempt to have a district and an identity of their own. The name La Salle ng Lipa, therefore, was not intended to be patronizing or derogatory but was instead very much part of that identity that the Brothers of the era were trying to establish. Batangas – as it still is today – was seen by the Brothers as heartland of the Tagalog and, therefore, the Filipino language. Explained that way by Br. Rafael, somehow the name La Salle ng Lipa was not so annoying anymore. Perhaps he was just trying to console me because I did tell him that I thought the name was patronising. 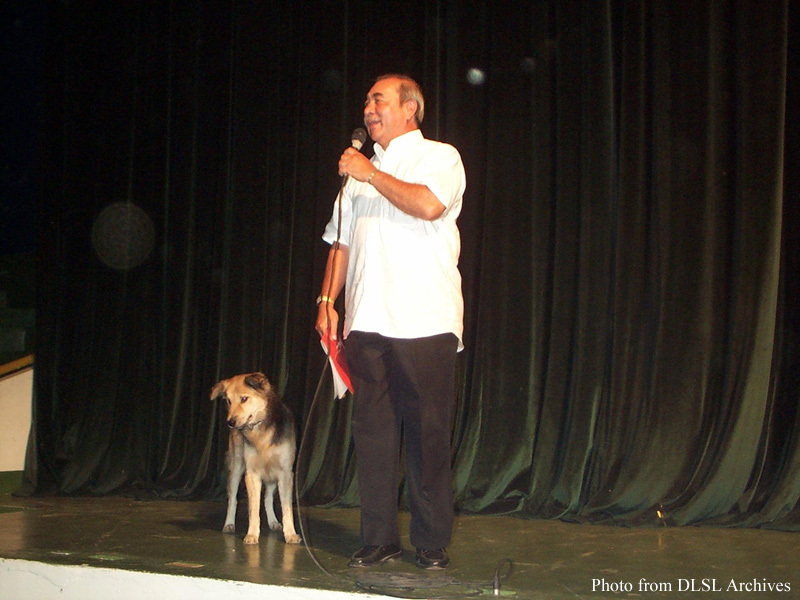 By the time I returned to teach in 1982, the name of the school was already officially De La Salle Lipa. The school had finally incorporated and the new name registered at the Securities and Exchange Commision. Without the dash (-), Br. Rafael used to insist when he was President. It has now become conventional not to use the dash, but in fact, as I wrote in another article, the incorporation papers had the name De La Salle – Lipa. Wink.